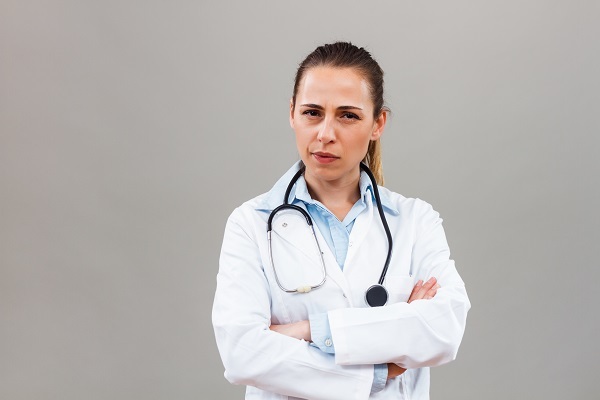 Who Is The No 1 Enemy Of A Physician? While many physicians (rightfully) worry about competition taking away patients, hospital administrators or insurance companies limiting the treatments they can provide, and patients who threaten to leave bad online reviews or, worse, file a malpractice lawsuit or complain to the medical board, none of these participants in your practice can cause the harm of the number one enemy of a physician or medical practice: a disgruntled former employee with an axe to grind, who is ready to turn you in to federal law enforcement for alleged health care fraud. Former employees originate and cause the majority of federal health care fraud investigations against physicians. Of course, every business faces the issue of potential lawsuits from former employees who are terminated, laid off or, in some cases, even from employees who voluntarily resign. Such lawsuits may allege that the end of the employment violated an employment contract, if once existed, or that the employer violated federal law by discriminating against the employee on the basis of their race, gender, age, disability, taking of FMLA leave, or for other reasons that the law does not allow. However, medical practices and physicians face an additional level of difficulty from problem employees: upon termination, these employees may falsely report to the state or federal government, either directly or through an attorney, that you are committing health care fraud. There is a large incentive for them to do so: once they have become a whistleblower, it is much more difficult, though not impossible, for you to terminate their employment if you have not already done so. Even more attractively to the former employee, if they file a lawsuit against you under the False Claims Act, which is called a qui tam lawsuit, they can recover a percentage of any money recovered in that lawsuit on behalf of the federal government. This result could be seen as a windfall to an unscrupulous worker. In fact, in some cases such employees even report wrongdoing in which they were involved or which they orchestrated, blaming the bad actions on the management of the company or the physician instead of themselves. So, how do you solve this issue? One possibility is to consider offering the soon-to-be former employee a severance agreement. In most states, including Texas, an employee has no right to a severance payment unless he or she has an employment agreement that provides for one. Thus, it can be helpful to offer the employee a payment or other consideration after his termination in exchange for the employee’s agreement to certain terms. In addition to money, other consideration that you might offer the employee could include an agreement to provide a positive or neutral reference, to continue health insurance or other benefits for a period of time, or not to challenge the employee’s ability to apply for and receive unemployment benefits. In exchange, the severance agreement asks the employee to agree to certain terms. Commonly, the employee will be asked to renew his commitment to any nondisclosure, confidentiality, or non-competition agreements to which he was subject. He should be asked to agree to return all company property, including computers, books, manuals, or keys. In addition, it is good practice to have the employee agree that he is not aware of any illegal or unethical practices at the company or any instances of health care fraud committed by the company or any of its employees, or that he has informed you or HR of any such suspected violations. You will certainly want to ask the employee to agree that the severance agreement is a full and final settlement of any claims that he may have against the company or that the company may have against him. Note that whether or not the employee can validly waive federal claims of discrimination based on factors including gender, race, disability and otherwise may involve several considerations. For example, an employee can waive his or her right to file a claim based on past discrimination in most cases, but cannot be made to waive his or her right to complain to the EEOC. Additional considerations and requirements apply if you are asking the employee to waive his or her right to file a lawsuit for age discrimination. If the employee does not agree to a severance agreement and the termination is for cause, you may need to escalate the situation before the employee files a complaint or a lawsuit. If applicable, you may consider reporting any bad acts or illegal behavior by the employee to the state or federal board regulating the licenses of the employee (for example, the medical board, nursing board, or chiropractic board of your state). As is often expressed, the best defense may be a good offense. Similarly, if you become aware of behavior by the employee that constitutes malpractice or health care fraud, you may have an ethical or legal duty to report these actions or to reimburse Medicare or private insurance companies for any monies that were paid to your company in error or as a result of the employee’s fraud. Finally, if you had a contract with the employee, you should have an attorney review it to see if there are any sections that the employee violated and whether it is worthwhile to file a breach of contract case against the employee. Such actions are particularly common if the employee resigned voluntarily to work for a competing company, but employment contracts containing provisions that remain in place after the employment ends – such as nondisclosure or non-compete provisions – may be a basis for a lawsuit against an employee who leaves involuntarily as well. If you have concerns about, or have been threatened with litigation by, a former employee, or if you need to terminate an employee and want to be sure that you take all appropriate steps to ensure that the work separation is an amicable one to the greatest extent possible, you need legal assistance. The attorneys at Oberheiden, P.C. are experienced in all legal aspects of health care businesses and physician practice, including compliance, severance agreements, employment litigation, and defending against frivolous lawsuits. If you have an employment issue, or need a severance agreement drafted, call us today. Our former assistant U.S. Attorneys and experienced health care attorneys are available to speak to you seven days a week, including weekends. All initial consultations are free and confidential. Contact one of us today.